Phileo was silver sponsor of the Australian Poultry Scientific Symposium (APSS) that happened last 5th-7th February in Sydney. With more than 250 attendees and 25 sponsors, the APSS had a great success. 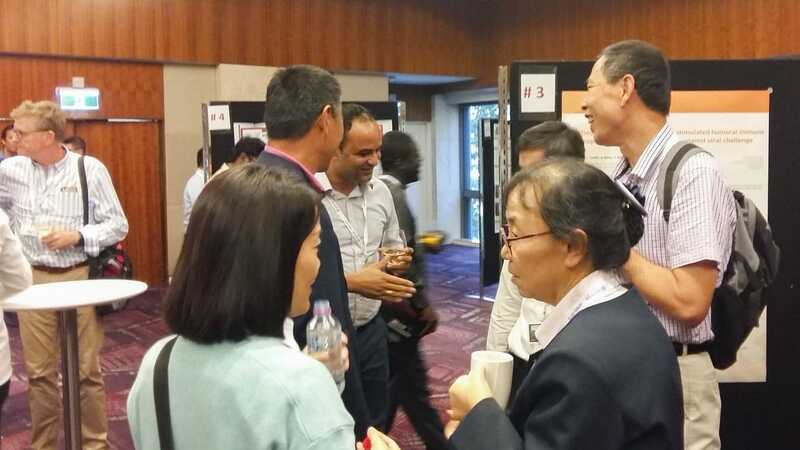 Organized by the University of Sydney, it is the premier poultry science conference in Australia and attracts delegates from across Australia and from all around the World. With a forecasted increase of 120% for poultry production in 2050, combined with new consumers expectations regarding animal well-being and product quality, the industry will face important challenges in the future. Low protein diet strategy, Farm and nutrition management, Animal welfare, and Big Data in poultry production were the main topics developed by the speakers. They gave to the attendees an overview of these challenges and possible solutions that are being studied. Purified yeast β-glucan have a good potential to be used as adjuvant for vaccines in poultry. They help to enhance the efficiency of the vaccine and as a result the health status of birds. Phileo solutions in poultry production have a bright future to help the industry in supplying reliable and premium poultry products to consumers.